Dental Implants, Lumineers, Extractions and more. Dr. Haghiri is a General Dentist practicing in the Dallas area. She was graduated from Baylor College of Dentistry as a Doctor of Dental Surgery. Most of Dr. Haghiri's friends and colleagues pick her as their first choice for their patients' surgical operations. She enjoys dental surgery, and has been reviewed as a gentle, Kind and considerate dentist in the metroplex. 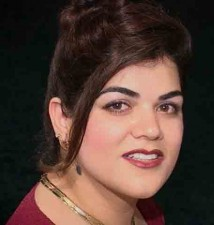 Dr. Haghiri treats every patient as a family member, and being friendly, and keeping her patients calm and worry free, is one of her requirements before starting any procedure. We accept Visa, Mastercard, Cash, and Care Credit Payment Plan"12 months, No interest." All payments will be collected in advance!